Not everyone with one of Apple’s gorgeous iPhones is going to want to wrap it in a case and hide the stunning design. 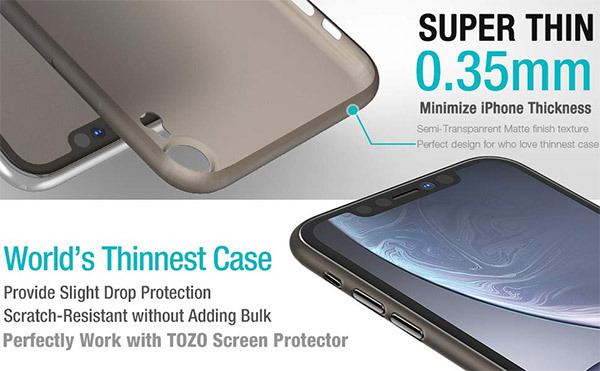 If you’re one of those people who admires product design but who also wants to put at least some protection in place, then these ridiculously thin TOZO cases are available for just $8.99. People tend to go into the market and pay top prices for Apple’s hardware due to the fact that it pretty much leads the pack in terms of product design. A lot of competitors choose to copy the look and feel of iPhone and there is a general consensus that Apple nailed this year’s models in regards to the physical design of iPhone XS, XS Max, and the cheaper iPhone XR. Still, if you have spent more than $800+ on a smartphone you are going to want to ensure that it has at least some protection. 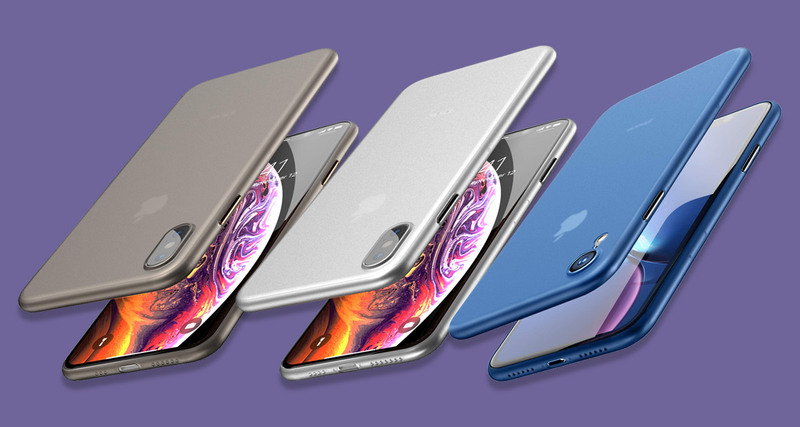 The company behind these cases describe them as being “thin like naked,” which is pretty apt considering they are literally paper thin at just 0.35mm of thickness. It offers the maximum amount of protection that you could think a case like this would give you while still allowing the design of the hardware to shine through. It has a matte optical texture with a coating that is designed to reduce fingerprints and the build-up of grease which comes from using it on a day-to-day basis. It’s unbelievable to see a product of this nature on sale for just $8.99. This is definitely not going to offer maximum drop protection that some other cases offer but for those who need a minimal amount of protection for a very minimal financial outlay, then this is definitely a deal that you need to be taking advantage of before it expires and the price rises.